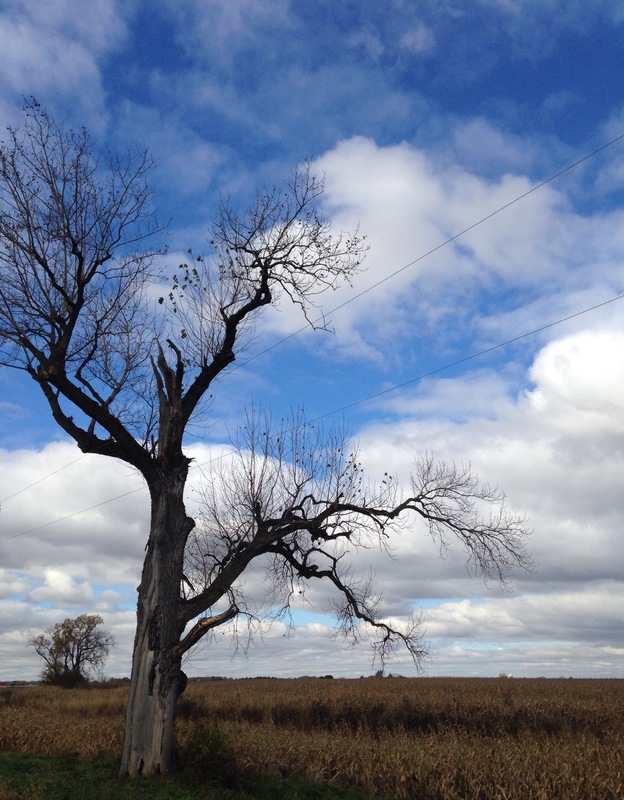 Very dramatic picture of the bare tree against the sky, Bellezza! Love the scarecrow too! The skies have been very cloudy and grey lately, but rather than fuss about them, I thought I would relish their texture. Dramatic is a good term, I think, for what I felt about them when I took the photographs yesterday. I am loving those skies! They make me want to curl up with a hot chocolate and a good book. Right now, my sky is grey, cloudy, and filled with rain – also perfect for reading 🙂 Thanks for sharing those photos – I especially loved the one with the scarecrow. Those are the best kind of days for reading! Thanks for commenting, Nadia. I’m amazed by the scarecrow. It looks for all the world like it’s wearing something made of Liberian country cloth, which is woven in long strips on looms, then stitched together. We finally have some gorgeous weather — 60s at night, 80 by day — and soon, oh, soon! it will really cool, and our color will arrive. What an interesting connection to the scarecrow’s outfit. I’ll have to look up some Liberian clothes as they are unfamiliar to me, but I was struck by the fact that the robe appeared to be a human’s rather than a scarecrow’s. I guess my first thought was of Jacob and the coat of many colors. So glad for gorgeous (i.e. cooler) weather! I keep singing “je ne veux pas travieller” to myself…what a wonderful gift you gave me via that song! Thanks, Lisbeth. It was such a pretty day (at the pumpkin farm in Illinois). Gorgeous. October is such a beautiful month. It is! And I love the autumnal feel on certain days. Beautiful sky! I love the gorgeous clear skies we’ve had lately. YOU are the one who’s taken gorgeous sky (garden, flower, etc.) pictures. Gorgeous, dramatic sky photos! The Pumpkin Scarecrow is especially wonderful. Isn’t he cool? 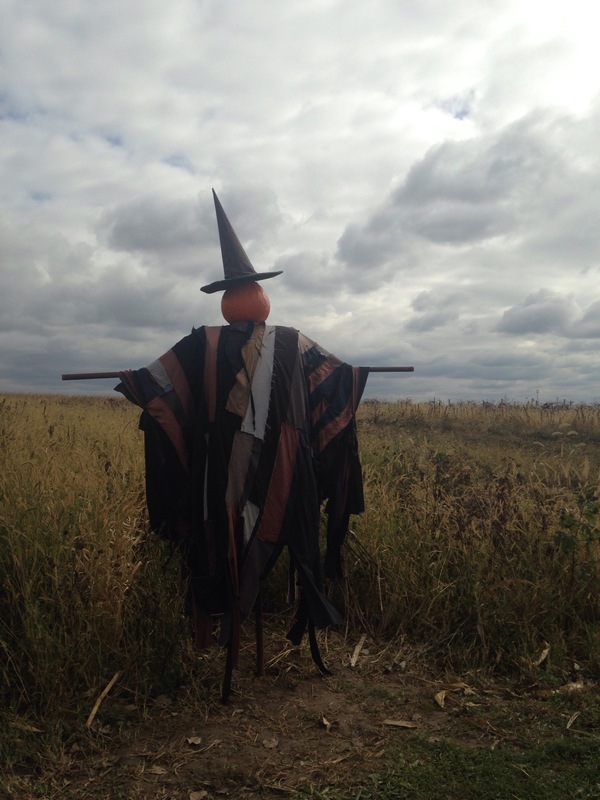 I’ve never seen a scarecrow with a patchwork robe before, let alone wearing a witch’s hat.